When British architecture critic Rayner Banham first popularised the concept of a ‘New Brutalism’ in his famous 1955 essay, he described these bulky and often colossal concrete buildings as an ‘ethic’ rather than an aesthetic. 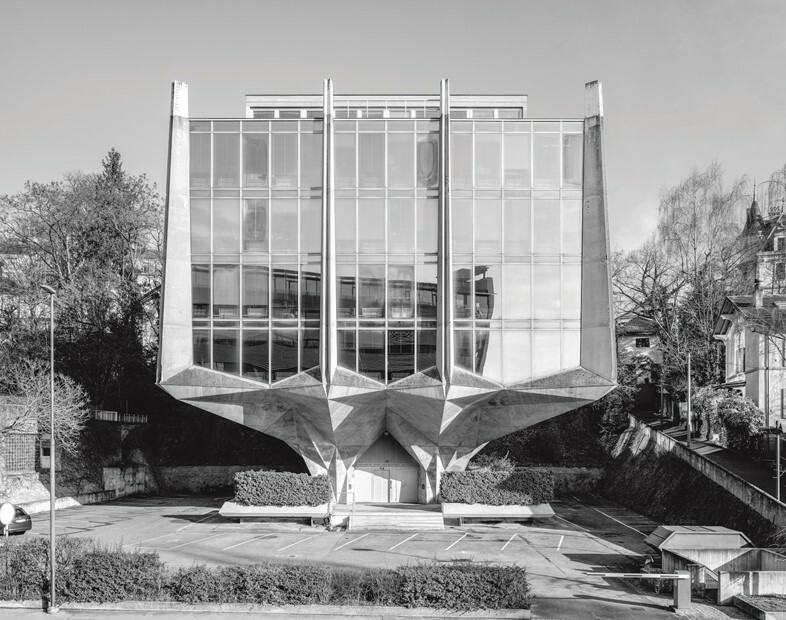 Fast forward 70 years and Brutalism – to most – has seemed boiled down to nothing but an aesthetic, albeit a remarkably stark one in its masses of sculptural, lumpen and stylish concrete, rearing over the parklands and cityscapes of northern Europe. But on picking up Phaidon’s new (and appropriately dense) Atlas of Brutalist Architecture, this aesthetic becomes increasingly hard to pin down. The atlas is global – from the tropical heat of São Paulo to the exposed outcrops of Sheffield, it reminds us that Brutalism isn’t just the Barbican, and fits into the mould of whatever climate it’s poured into. In the aftermath of the Second World War (with cities carpet-bombed, machine-gunned and pulled apart), there was a need to build new housing and facilities, and to do it quickly. At the same time, architects and the governments who supported them began to reject the apolitical cleanliness of pre-war Modernist architecture. The Smithsons, who led this charge with a youthful antagonism in the UK, rejected the mild and stylish mannerism that had preceded them. 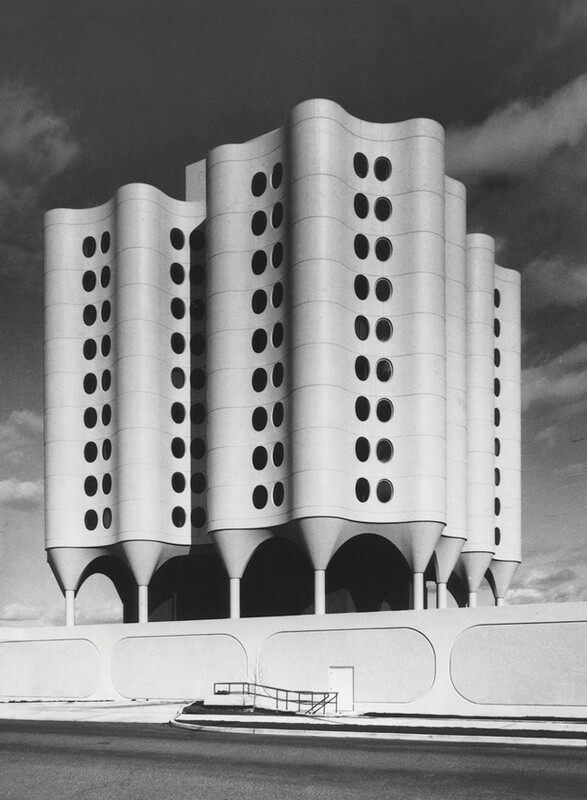 It was an architecture autre – consciously difficult, hardy, and deeply materialistic. Brutalism wasn’t pretending to be anything it wasn’t; they knew that a good building is hard to keep down. 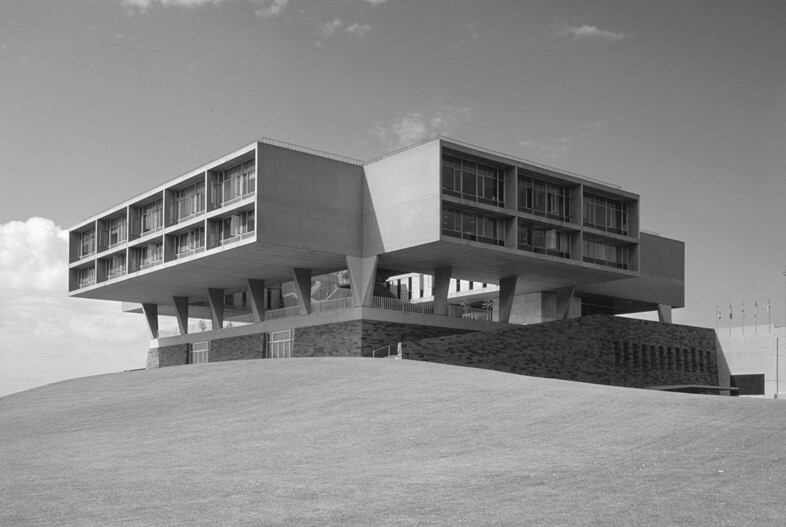 Flip through the pages of the atlas, and Brutalism impresses with its hugeness: making use of cheap materials and functionally poetic designs. And even while the Smithsons were more concerned with “flow” than “measure” (they weren’t the biggest fans of rude geometric structures), the style that rapidly accelerated across the globe came to outpace them. 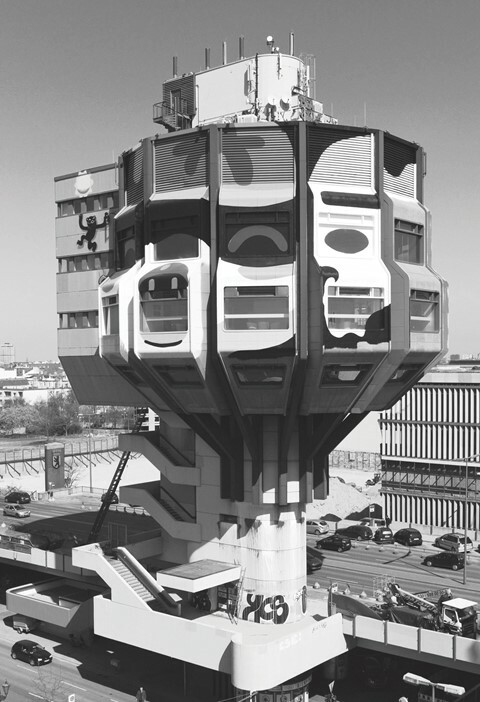 What we know – and love and hate – today of Brutalism is wildly varied, tending both toward the plumply spherical to the savagely sharp. Le Corbusier’s Unite d’habitation (Marseilles, 1952) sits on one end of the spectrum; its delicate concrete pilotis supporting a surprisingly light concrete volume with painted façades, all conceived as houses for the people. On the other side of the spectrum we have London’s Southbank Centre, a daring, experimental series of stacked volumes which create, however you walk across the site, consistently fresh and surprising views. The two buildings don’t look much alike, but they both share a commitment to imagining (or, as it were, literally building) a new kind of world. 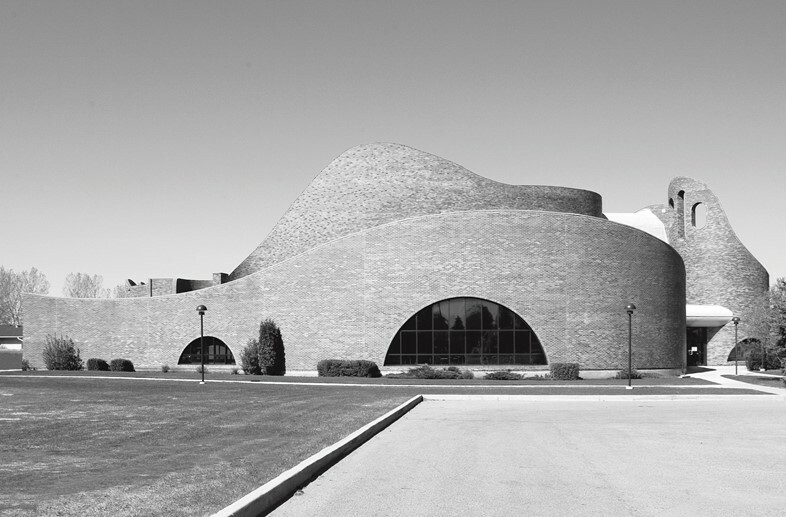 At the same time, the editors, in their introductory text, speak openly about getting past the ‘canon’ of what Brutalism is, mentioning Goldfinger and Corbusier alongside contemporary practitioners Peter Zumthor and Tadao Ando. We can also see important designers such as Brazilian Lina bo Bardi (who built the huge and fun SESC Pompeia) mentioned alongside designers such as Eric Owen Moss, whose more recent Brutalism has been dragged into the formally convoluted era of Zaha Hadid. The cavernous and hulking Brutalist shapes we know in the UK share book space with surprisingly sinuous and unexpected designs in Brazil, Japan, and Australia, which emerge as important centres for Brutalist experimentation. Joao Filgueiras Lima’s 1974 Exhibition Centre of the Administrative Centre of Bahia in Brazil looks like something between a spaceship and a bridge, floating above the lush greenery of its surrounding parkland. Equally remarkable is James Birrell’s Townsville Campus Library in Australia, dating from 1976, only two years later. This is a sleek series of fat panels resting on a curving base which has the appearance of river-rounded stone. They’re both Brutalist as far as the editors are concerned, but widely, wildly different. This takes us far beyond the image of concrete cubes rising from English city centres (which have their own dramatic beauty). 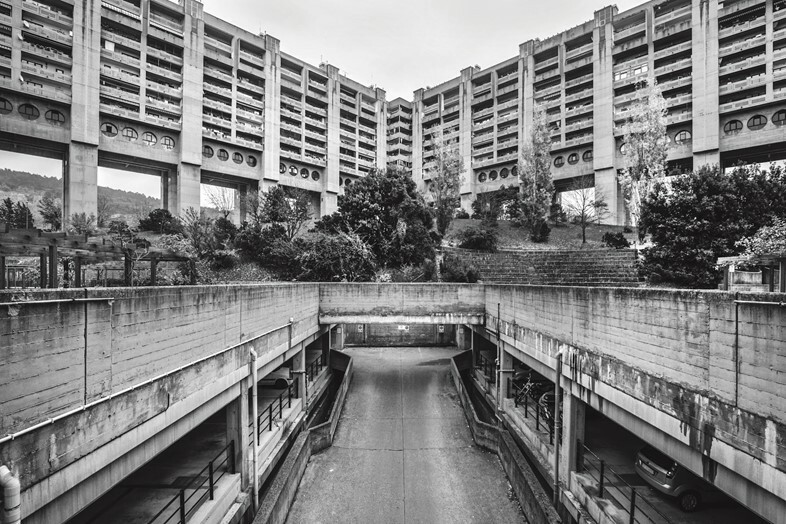 Of course, Phaidon’s release of this tectonic index comes not long after the tragic demolition of London’s Robin Hood Gardens, which was the Smithsons’ first major Brutalist design. What might go up in its place will be clad in plastic, and light as air – but it won’t be as memorable. In this way, the atlas acknowledges the ironically fragile status of many Brutalist buildings, commenting on their condition and usage, leading to a kind of ‘endangered species’ label for at-risk buildings. A fear, then, lingers over the pages that the ethical impulse that kickstarted Brutalism is becoming increasingly distant – at which point the atlas could easily become a book of the dead. 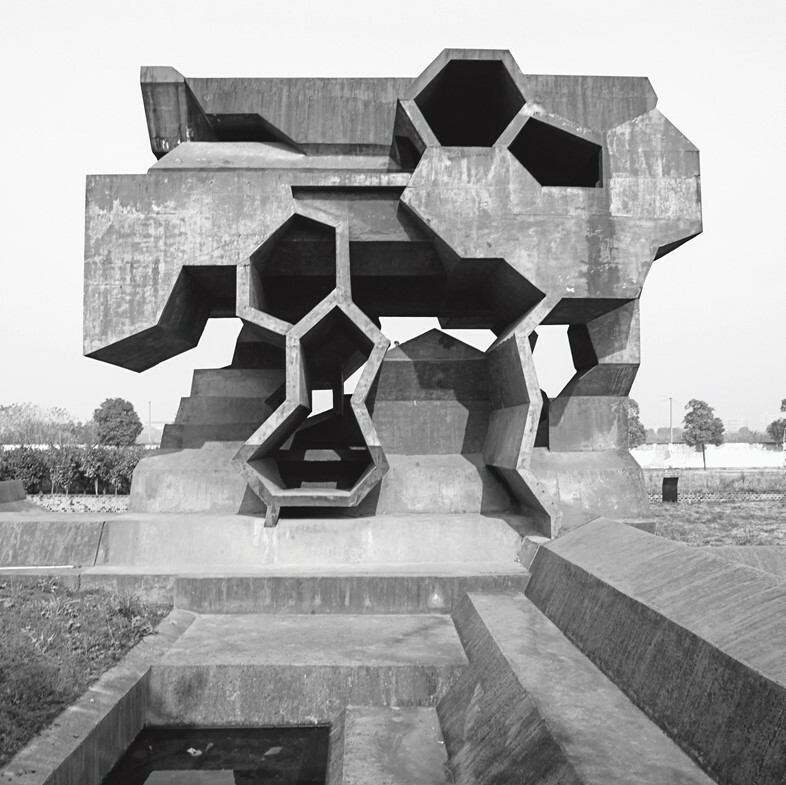 Atlas of Brutalist Architecture is out now, published by Phaidon.